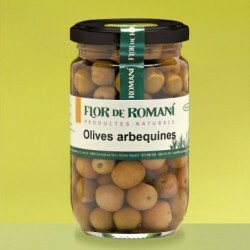 "Arbequina" olive it is a very tasty olive and highly aromatic. The taste is not acid. Thanks to it's small size, it suits perfectly for a snack or in salads. 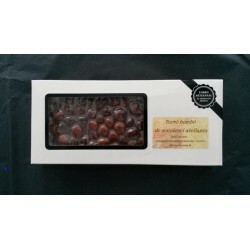 These olives are originally from Arbeca (Les Garrigues) although they are currently produced in Catalonia in the region of Lleida and Tarragona. They are dark brown. They are hand-packed with no preservatives. Garnatxa negra 100% Colour, aroma, structure / Dark picota cherry colour with violet reflections.Its aroma begins with Garnatxa’s strong varietal character in a landscape of ripe fruit, plums and figs against a mineral backdrop and slight hints of dry grass. Chocolate and hazelnut nougat, hand made with the best ingredients. Excellent. Hot sauce made with “allioli” (garlic mayonnaise) and natural spices. It suits perfectly with potatoes, any type of meat and any type of vegetable. We avoid heartburn and trouble with lips thanks to pasteurization. It keeps the taste of the food it is going with. Gluten free. 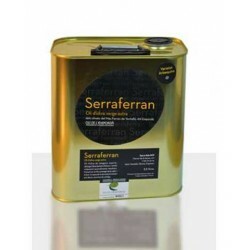 Serraferran is an extra virgin olive oil not only with the highest quality, but also with an absolute aromatic expression, an extraordinary taste and the natural quality from the oily juice of the olive tree fruit. 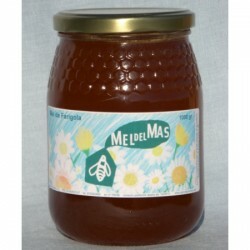 Thyme Honey Dark amber or orange yellow, strong smell and rich in copper and boron. It is a honey favors are antiseptic and is recommended for the prevention of infections and infectious diseases, respiratory or digestive.